While you might wish to buy a new motorbike, you might not be in a position to afford one and you might therefore be tempted to buy used. Buying a used bike will certainly save you a lot of money because bikes tend to depreciate rather quickly. In addition to monetary considerations, a used bike might make sense for a person new to biking. If you have just decided to pursue biking either as a hobby or as your new means of transport, getting a cheap used bike might be the ideal way for you to find if you’ll really be comfortable with your new acquisition. You can imagine how painful it might be if you splashed out a huge amount of money to get a new bike and then found out, just a few months later, that you are not comfortable using your new bike. In addition to requiring little capital outlay at the beginning, used bikes will also cost you less in insurance. Should you decide to buy a used bike, there are many places where you can get one. Many dealerships do not only have many brands to choose from but are also able to arrange for financing making it even easier for you to get your bike. Should you have another bike that you no longer need, some dealerships will also allow you to trade-in your old bike and this will further reduce the price that you eventually pay. Apart from dealerships, an online search could yield hundreds of individual sellers of used bikes near you. Such sellers will usually be cheaper than dealerships but always remember that their bikes are sold without any warranty and this could cost you greatly when the bike develops complications in future. If you are not very conversant with motorbikes, you are likely to buy a bike for more than it is worth unless you use the services of a knowledgeable friend. To make sure that you are not buying a bike that is older than the seller is saying it is, you should match the bike’s mileage with its service history. On top of taking a test ride, be on the lookout for dents and scratches which are indicators that the motorbike could be worth less than the price being offered. It is also important to make sure that the documentation is right – confirm that the frame and engine numbers match and also that the bike has a valid registration document bearing the seller’s name. When you needed to buy a bike in the past, you simply headed to the bike store nearby and made a purchase but the advent of online stores have provided customers with a new option. Given these options, what choice do you make for your purchase to be both useful and pleasant? Online purchases have continued to rise and there are reasons for this. Perhaps the leading reason that makes online purchases attractive is the great variety of bikes that you can get online. Granted, there are well-stocked bike stores that have a great variety to choose from but it is impossible to match the kind of variety you find online. When you shop online, you have the ability to visit as many stores as possible (quickly and at no expense) before making a purchase. Online purchases are also likely to get cheaper than in-store purchases. Even when you are not dealing with the manufacturer directly, the number of middlemen is greatly reduced with online purchases and the bike will end up costing much less. People buying their first bikes might be better off making an online purchase. Unless you are accompanied by somebody with vast knowledge of bikes, you might not know exactly what to look for in your first bike. When you shop online, you have access to plenty of info about a bike’s specs including photos and even videos which could help you understand the product you intend to purchase. Even more importantly, you are likely to get reviews of the bike from people who have used it. If you can get genuine reviews, this could be the best advice that you could ever hope to get as it is provided by people who have no reason to be biased. When you shop in-store, the biggest advantage you have is that you’ll get to not only get a feel of the product you intend to buy but you’ll also get to talk to shop owners who are vastly knowledgeable in bikes and who could give you priceless advice. When you are not sure about the qualities of the bike you intend to buy, you also get a chance to try the bike to see if it is the right size for you. The ability to sit on a bike before buying should never be taken for granted – if you bought a bike online and it turned out to be too big for you, you’ll have to go through the trouble of returning it to the seller. In recent years, more and more people are becoming aware of the effects of global warming and many people are making whatever effort they can make to make the resources of our global village sustainable. From the construction of houses to the transportation, there is currently a global trend towards green living. Ever since the arrival of electric cars, there has been a global push for the use of transportation means that do not depend on fossil fuels. For the majority of people today, running around in a fuel guzzler is not only an indication of unnecessary opulence but is actually plain irresponsible. 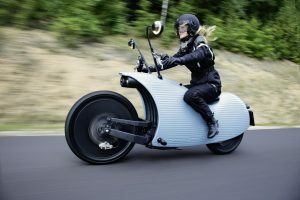 In a world working hard to embrace green living in all spheres, electric motor cycles have not yet taken their rightful place but the good news is that there is a definite push in this direction. Perhaps the real reason why the world has been slow to embrace electric motor cycles in a big way is the fact that the bikes available in the market are yet to move at speeds that motor cycle enthusiasts are used to. 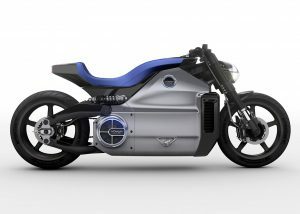 Yet the future of electric motor cycles is undoubtedly bright. For starters, electric motor cycles, being smaller than electric cars, consume much less electricity. For the many people who use electric cars to carry just one person, the appeal of electric motor cycles is great. With a motor cycle, the troubles of getting stuck in traffic and the endless search for parking are overcome. The smaller battery of a motor cycle takes less time to charge and the result is that when you use a motor cycle you save time both getting the battery charged and also on the road. Technological advances are also contributing to make electric motor cycle use really convenient. Until fairly recently, the majority of electric motor cycles available on the market could only cover a couple of miles before requiring a recharge. Today, there are plenty of electric motor cycles which will comfortably go over 100 miles on a single charge. This makes electric motor cycles a convenient mode of daily transport especially for people commuting to work. On top of playing your part in helping our troubled planet fight global warming, when you use an electric motorcycle you’ll incur fewer maintenance costs than the person using a conventional motor cycle or a car. With so much going for electric motor cycles, we can safely bet that it is just a matter of time before this mode of transport gets embraced globally. Motorcycle owners would do everything to ride the most badass bike on the streets and make their bikes a true stunning beauty during motor bike shows. This explains why there are a lot of ways now on how to make your motorcycle look cooler using all the modifications and customizations that you can find in a motorbike shop. Some motorbike owners could go at great lengths to ensure the best performance for their bikes. Transforming and upgrading a street bike could either be done with just a simple tweak like that you can do by yourself, such as putting on cool designer decals or they could either be as complicated as setting up a Dyno tune Speaking of Decal Stickers, these eccentric piece of accessory truly gives a great job in setting off that great look for your street bikes, as if they’re like icing on a cake. And just like an icing, one can get too crazy with the wide selection of fascinating designs out there. Want to have an improved badass bike? Then don’t settle with fake turbo sounds nor weak engine noises that are most commonly present in factory models. Changing the air filters can do a lot of wonders to your motorcycle because they are a great help in making your engine breathe easier. They are by far, the simplest and cost effective way in giving a deeper sound of your bike. Who needs a cool bike that isn’t properly balanced? You can actually have more accurate and balanced bike by changing your bike’s front and rear suspension system. But, you also need to ensure that all the suspension adjustments and tire pressure are perfectly in tuned. A bike modification won’t be complete without altering the exhaust pipes. This is by far, the most commonly modified parts because of the wide range of exhaust pipes that are available nowadays. Now, your bike can get more attention with that robust rumbling sound when you twist that throttle. But, you need to be cautious though in installing the right pipe that is compatible with the engine and air filters to prevent any unexpected problems in the future. Make your road presence highly felt especially during night time with a projector headlights. 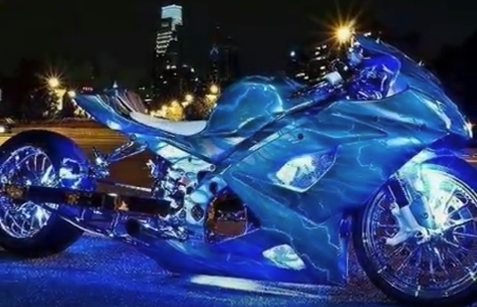 These awesome lights make you stand out by giving a unique exterior look for your bike. The best thing about these projector lamps is that, they are simply available for any bike on the market. The real Badass bikes are not the big and bulky ones. This look actually blows up the sleek look of the bike. One way of getting that slim and clean look for your bike is by getting rid of stock fenders. You can do so much more without these cumbersome fenders and add more stock lights, for instance to get that slick look, which is way better. Lastly, you can turn your ordinary road bike a true badass bike by changing the Chains and the Sprockets. Not only does it make your bike more durable, it also goes a long way in delivering an increased quality power output to your bike whether it’s from high end to low end. Do you personally think that it’s worth investing every dime in a badass bike or is it much better to save up for a newer and meaner bike? There’s one main event brewing in Oklahoma that Biker’s and Motorcycle enthusiasts will definitely add to their bucket list. The Motorcycle Haven in Oklahoma is a memorable journey that will let them see their dream bikes for real. The Eville Twin will be one with the many Motorcycle Bike companies who will treat Bike Enthusiasts to a sumptuous feast for their eyes, for the annual big motorcycle show event, “The Tulsa Chill” in Oklahoma City. This year, we will become one of the major sponsors of the biggest Open House Motorcycle Show event in the history of Oklahoma. Bikers and motorcycle enthusiasts alike will mark their calendars for this event. This will surely be a day that they will all look forward to and even call the best time of the year for bikes. Eville Twin is one of the largest traders and dealers of motorcycle bikes online, based in Oklahoma City. Professional dealing and trading with various kinds of big bikes that ranges from classical bikes, trikes, to the full bodied big and mean bikes for rough riders is true a mark of their expertise. Their online web site has helped thousands of customers online in finding the bike of their dreams. 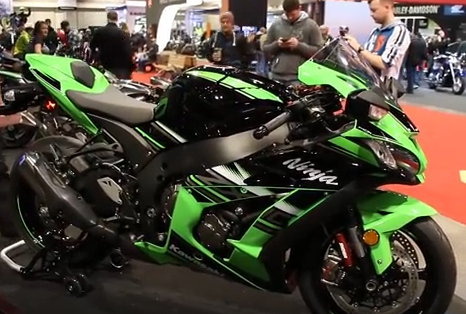 This year, the Tulsa Chill event will be a bigger and a better one as they continue to showcase the largest variety of New Motorcycle and Car Models. The Chill is always an exciting motorcycle show that fosters a friendly atmosphere for local exhibitionists and motorists who wants to go all out in showing their bikes that are dressed to impress. There are several halls inside the showcase room that are filled with cars from different blends of dealers and traders, truly a must see for a classic enthusiast. If you want to keep up with the latest buzz in the powersports, news and events that are happening in the industry today, the Chill is your main source for first hand and fresh news. This exciting and big event will kick off with a lively entertainment made up of many musicians and bands playing different kinds of genre. Aside from the mini concerts of bands, there will also be different contests such as the Car and Stereo Contest and also a Pin up Girl Contest to keep exhibitors and spectators busy throughout the event. You may reach out Eville Twin for any advanced tickets and bookings and more information about the big motorbike event. Why have four wheels when you can have two? Less is more in our world. Nothing can match the power, comfort or sense of freedom that comes with motorcycle ownership. What’s the best bang for your buck out on the open market then? How about the Suzuki SV650? You’re probably wondering if this version stands up to the benchmark placed by the 1999 original. We can confirm that it’s pretty close to say the least — this is a very good bike. It’s pretty as well. We think Suzuki have gone for a more retro look this time and more power to them we say. There is no lack in power as it is reported to be up to around 75 horses, which is ample for spirited riding. An added perk — weight has been significantly reduced from the outgoing model. So performance gains all round — which can only be a good thing. What a great machine. Next up, the Indian Scout Sixty. This is a big bike, let’s just say that now. It has a 1,100cc engine to lug around so if you’re a small guy… you may struggle to ride this one. Power is very good — at 100 horses, you’re gonna leave a lot of things standing in your dust, so no concerns there. Prices for these machines are also very reasonable… prices start at circa $11,000, which is great value when considering the competition. Personally, we found this bike had one too many gears. The six-speed was designed to see more torque from the engine and less need to click up and down the box every five seconds… but who are to comment on such things? It’s not a bad looking machine… but there are better on the market, This is totally subjective of course. How about the Ducati Scrambler Sixty 2? We love Ducati here at Evil Twin and anyone who is familiar with the brand will know exactly what we’re taking about. They rarely make a bad one! They sound great, look like the biz and go like poop of a metaphorical digging tool. So what’s this particular specimen got to offer? You’ll be glad to note that it has all the hallmarks of yet another great bike. At $8,000, we think this is an absolute steal! It’s an old school dirt bike with an air-cooled 400cc, 41HP engine. We strongly recommend you check this one out while stocks last… they won’t be on sale for long, we assure you. Finally, the Kawasaki Z800. 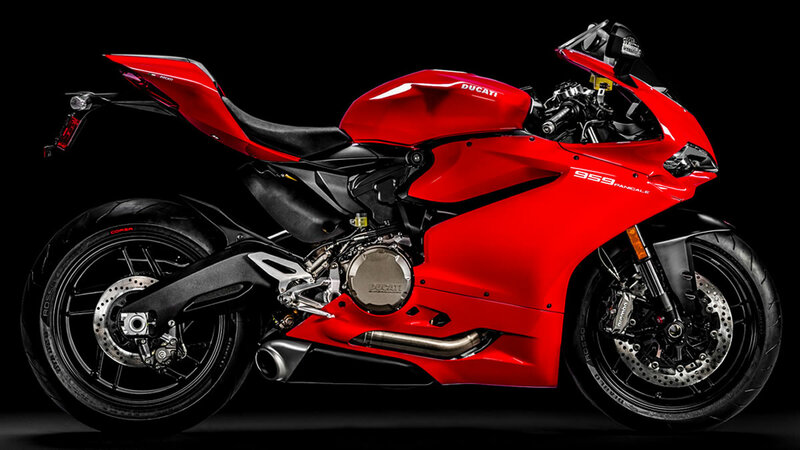 Holy moly — what a bike. Actually, this is less a bike and more a time machine. Never have we ridden something so rapid. The way this machine picks up speed defies belief. All we’ll say on this subject is that you should not even consider buying this bike unless you’ve got some serious riding experience. To do otherwise is simply playing with fire. Any bike that can do 80 miles per hour in first gear needs a danger sign stuck to it. How wide are your chicken strips? What are the best bikes for tall riders?